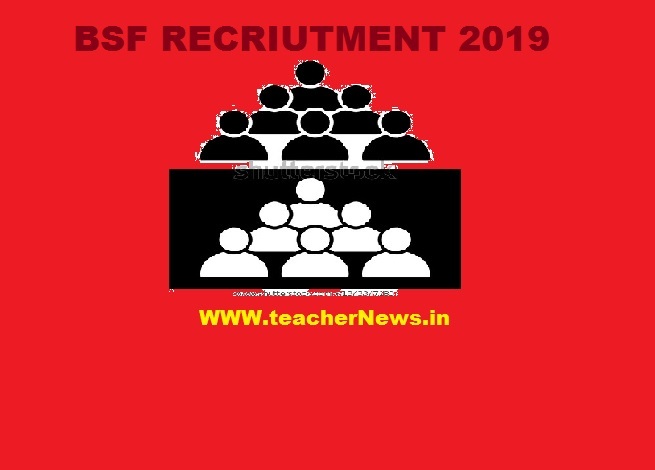 BSF Recruitment 2019 | Apply Online For 1072 Constable Post Notification Download. Government of India, Ministry of Home Affairs, Directorate General Border Security Force (BSF) has advertised a notification for the recruitment of Head Constable (Radio Operator) & Head Constable (Radio Mechanic) vacancies in Group C on temporary basis. Border Security Force (BSF) Recruitment like eligibility details like education qualification, age limit, selection process, application fee & how to apply, important links, syllabus, admit cards, results, previous papers are given Below. Those Candidates who are interested in the vacancy details & completed all eligibility criteria can read the Notification & Apply online. BSF RECRUITMENT APPLY ONLINE FOR 1072 CONSTABLE POST 2019. BSF RECRUITMENT 2019 Notification, Selection Process and Vacancies download.